As we shall see momentarily, these pops were dubbed Twin-ee pops. They went for a nickel and I guess were designed as a counter display item, right next to the baseball cards and Bazooka logs. These must not have lasted long but tie back to a neat bit of company history. 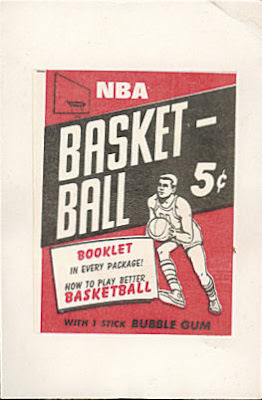 Back in the late 1940's, when Topps was trying to find an iconic mascot for Bazooka, Joseph Shorin became impressed with an add campaign for Popsicles, which featured a character named Popsicle Pete. He eventually hired the man responsible for refining the character for the Joe Lowe Corporation, one Woody Gelman. 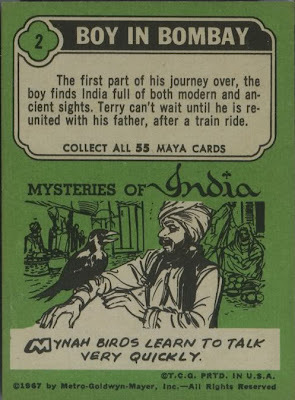 Fittingly, the mascot created by Gelman is promoting the product that landed him the gig at Topps. One of the reasons Topps became such a dominant company was their international marketing plan. The strategy was a smart one and is most often associated with their operations in Canada where they started pushing their gum products as early as 1947. Another outpost was England, where they purchase an interest in A&BC in 1958 and of course there was Venezuela, where baseball cards, usually the first couple of US series, were sold with Spanish backs printed especially for (and in) that country. 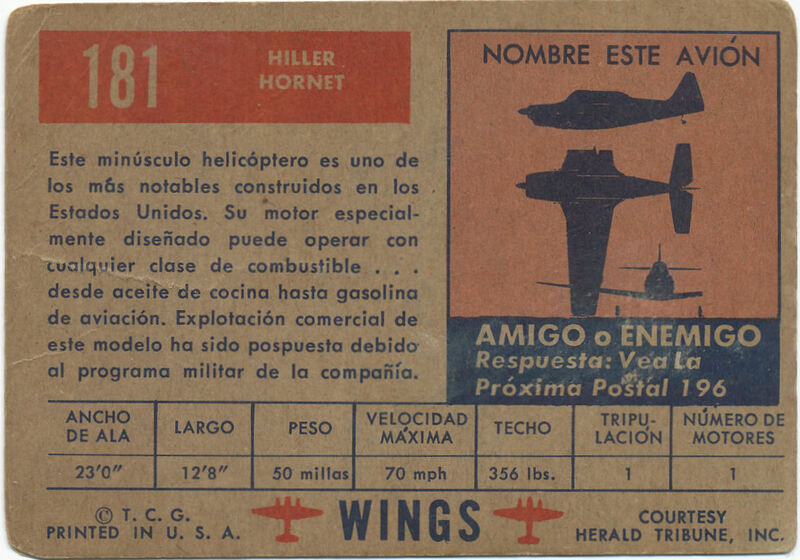 But their first specific Spanish language set was issued in 1952 and took direct aim at the Mexican market. 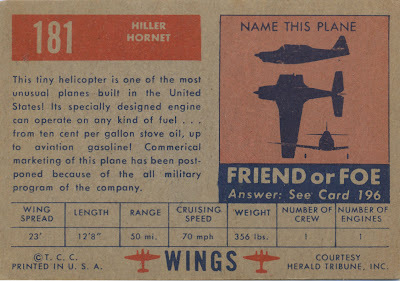 Wings was a highly successful, multi-series issue that followed the landmark 1952 Baseball cards in both size (Giant) and appeal (massive). 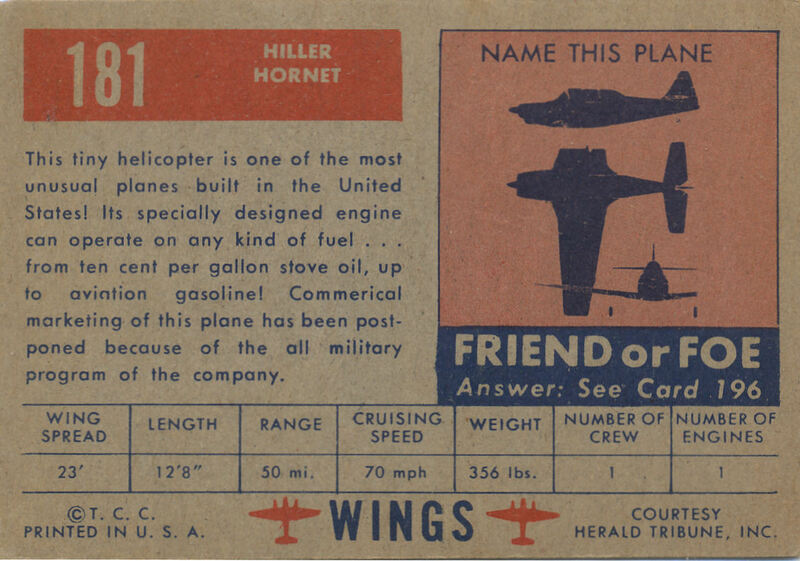 The series was marketed well into 1953 and consists of 200 brightly colored cards of various aircraft. 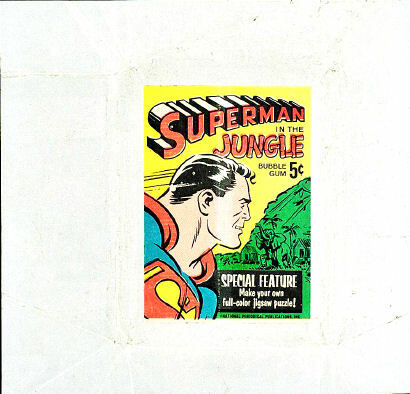 The Shorin's, used to doing business in Central and South America for many years while in the tobacco trade, turned to Mexico during World War 2 to import raw materials to continue manufacturing Topps Gum. 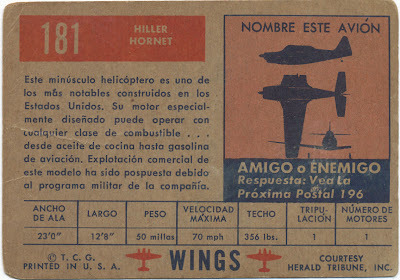 It seems likely their familiarity with the area led to a full release of all 200 Wings cards Spanish backs. 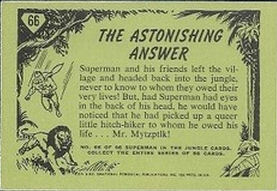 The indicia at the bottom and the number & title block wording remains in English but the rest of the card has been translated to Spanish. 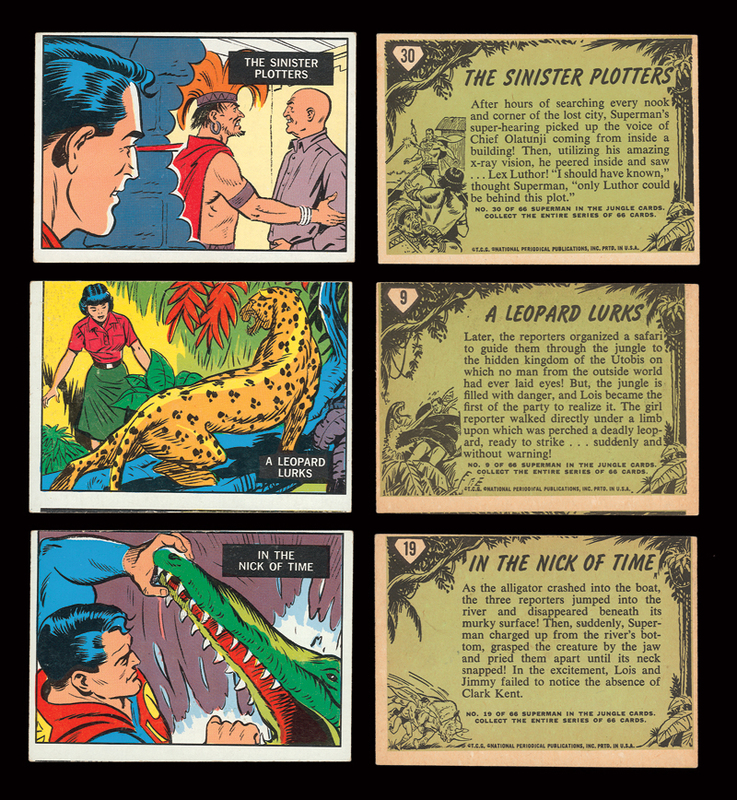 The entire 200 card series was transformed this way, although at one point it was thought only the first 100 cards had been produced and the backs of the second series had only been proofed but that is clearly not the case. You can find blank fronts of the last 100 cards though. The set in Spanish is becoming easier to find of late and if so inclined, could be assembled with a little effort. Their efforts south of the border would take a few years to find consistency but Topps was clearly thinking big in 1952. 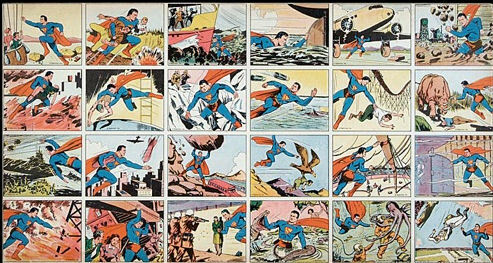 Superman has been a trading card character almost as long as he has been a comic book character. The tale of his origin, both the actual, artistic birth of the character and the fictional narrative centering on Krypton are essentially folk tales by now. The original classic set depicting the Man of Steel was made by Gum, Inc. (Bowman's predecessor) in 1940-41 is considered one of the top non-sports sets in the hobby, with some devilishly difficult high numbers and an active collector base conspiring to price it out of the hands of many collectors by propelling the 72 card set into five figures. It is NOT, however, the only high priced Superman set out there, thanks to two Topps test issues. 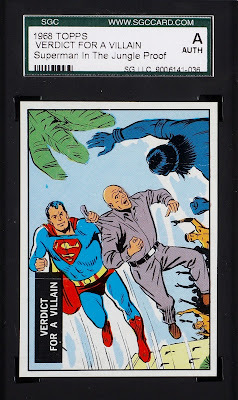 The first of these, the black and white Superman set issued by Topps in 1965 and/or 1966 was discussed here a while ago (click here and then scroll down a little) and exists in a test version that is quite tough and a regular issue with two variant reverses that is quite easy. 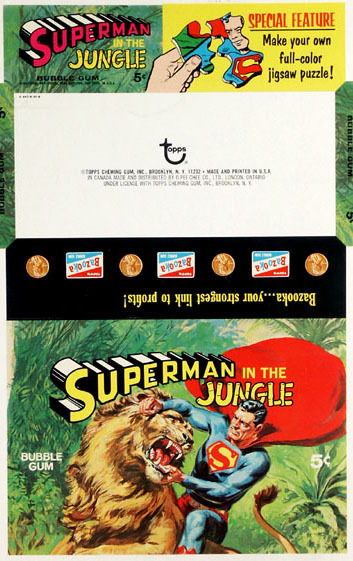 Then there's Superman in the Jungle, which was almost an unknown set for the first quarter century of its life. While values have fallen of late, it's still a pricey set to put together and many of the extant cards are actually blank backed proofs. 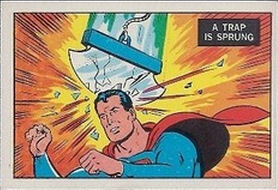 Having spent the money on art and testing, Topps was certainly in a bit of a hole. The solution? License the set to their partially-owned British subsidiary A&BC. I did a little inquiring after my last post on 1955 Topps All American Football and it seems whatever reasoning went into determining the Short Prints in this set went out around the advent of the USB 1.0 era. 20 overprints is indeed the consensus and that would mean for every full press sheet of 220 cards, 20 appeared three times and 80 twice. I'll have to leave it at that since I don't own a price guide business and can't determine why bad information continues to persist in some quarters. So with that, I will leave you with some eye candy. 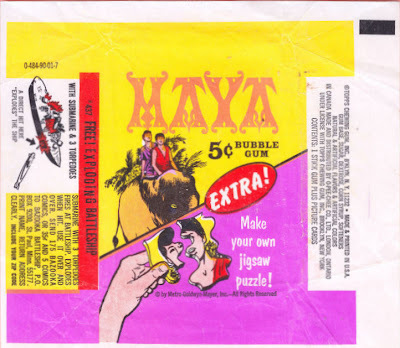 The standard Trading Card Guild cello box of the era looks like it came with a nice, colorful header card. Perhaps they came with every issue that was cello-ized; that deserves some research real soon. The Four Horsemen of the Apocalypse: Conquest, War, Famine and Death. 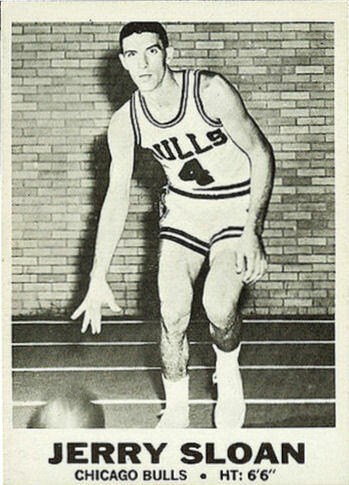 The Four Horsemen of Notre Dame: Stuhldreher, Miller, Crowley, Layden. The former a harbinger of the end of the world, the latter the Notre Dame backfield from 1922-24. 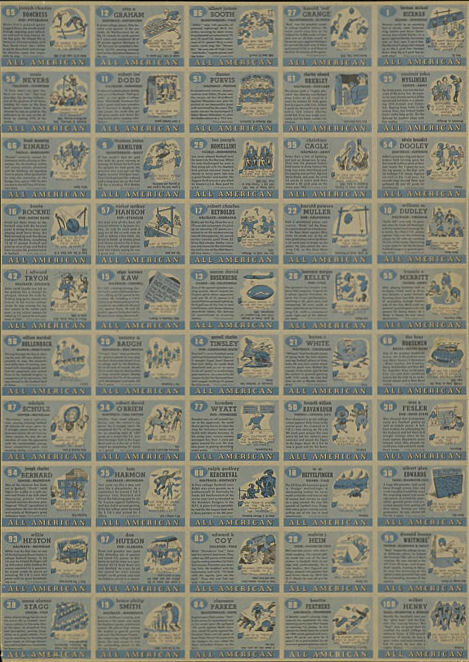 Oh, and the centerpiece of the 1955 Topps All American Football set. 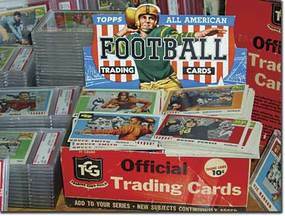 Unable to sign NFL players due to Bowman's exclusive contracts, Topps turned to the college ranks for the third time in seven years to compete with a 100 card set. 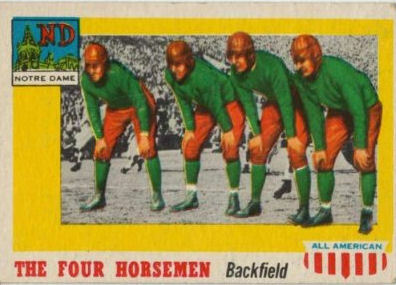 A card of the Four Horsemen of Notre Dame (#68) anchors the set but there are numerous big name players within. 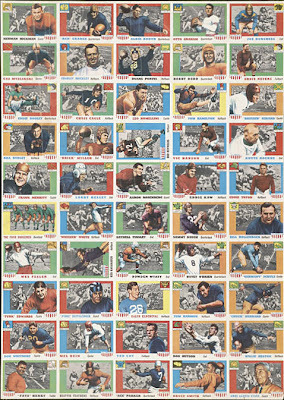 The set is a classic, possibly the most collected vintage football set in the hobby. 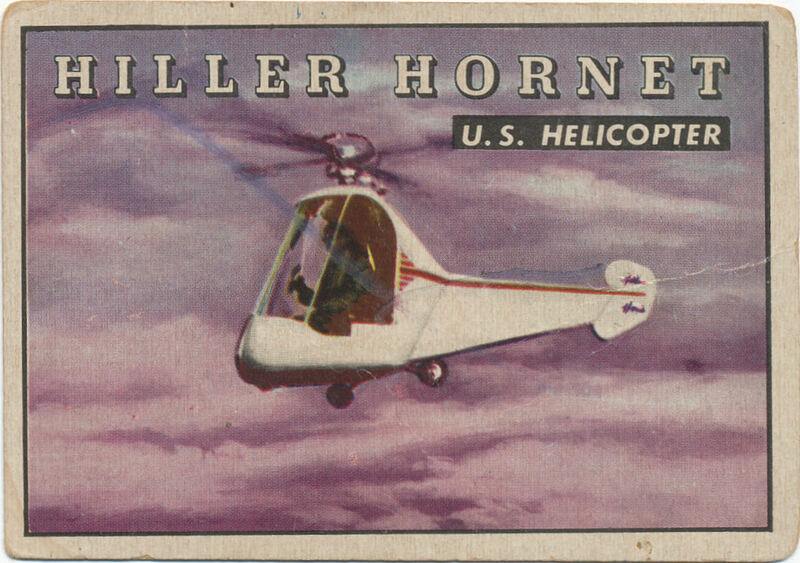 A fairly recent find of unopened cello boxes has driven many high quality cards into the marketplace and brought down prices but does not seem to have brought any clarity to a major feature of this set: 34 allegedly short printed cards. 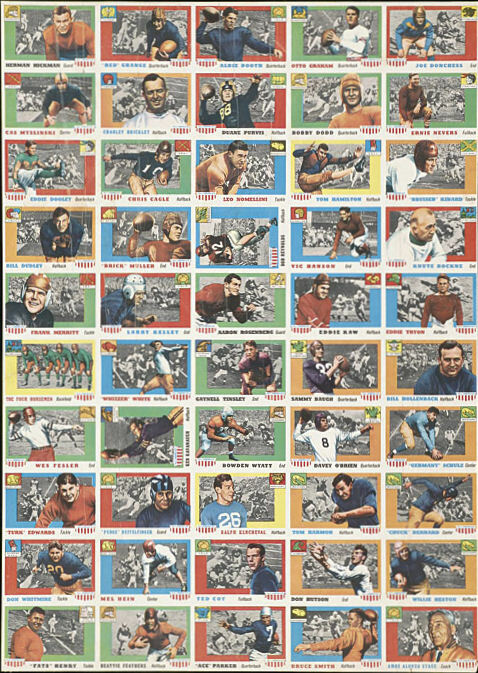 All American was printed on 110 card half/220 card full sheets, 11 rows of 10 cards per half. Or, depending upon orientation, 10 rows of 11 cards. 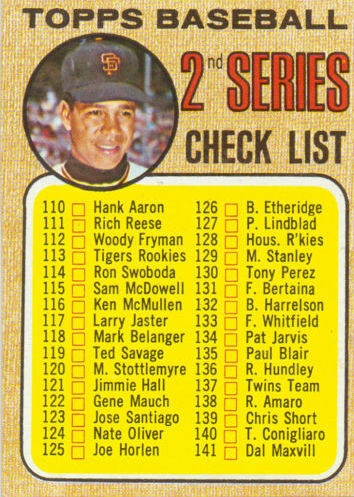 With some rare exceptions (1952 Baseball high numbers), Topps would muck around with short prints on a row-by-row basis for their Giant Size cards. 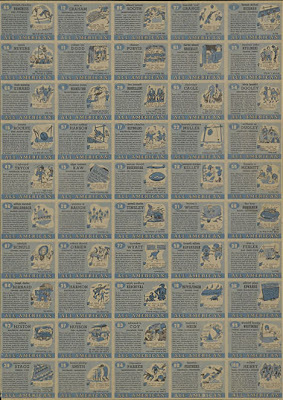 That would mean a 110 card sheet as was used in 1955 should have a total number of short prints divisible by either 10 (portrait) or 11 (landscape). 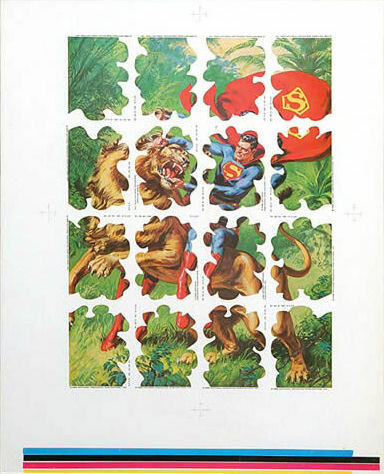 34 does not work in this scenario but an examination of a partial uncut sheet reveals a haphazard arrangement. The lack of a pattern across full rows or columns makes me wonder if the SP's are properly identified. And there are 31 of the 34 on less than half the sheet, which does not make sense. 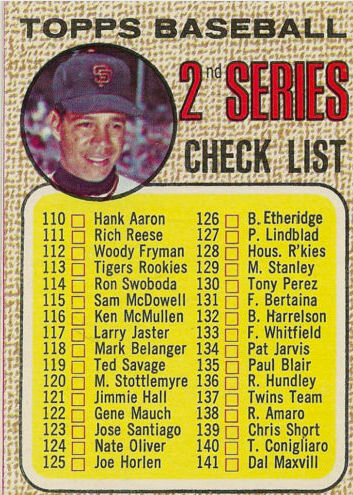 Anything is possible, especially since Topps was stuffing over 20 cards into some cello packs in their final beat down of Bowman but I would have expected three rows of cards to show up with SP's occupying each slot. Another problem is that there would have to be some overprinted cards if 34 are short prints. 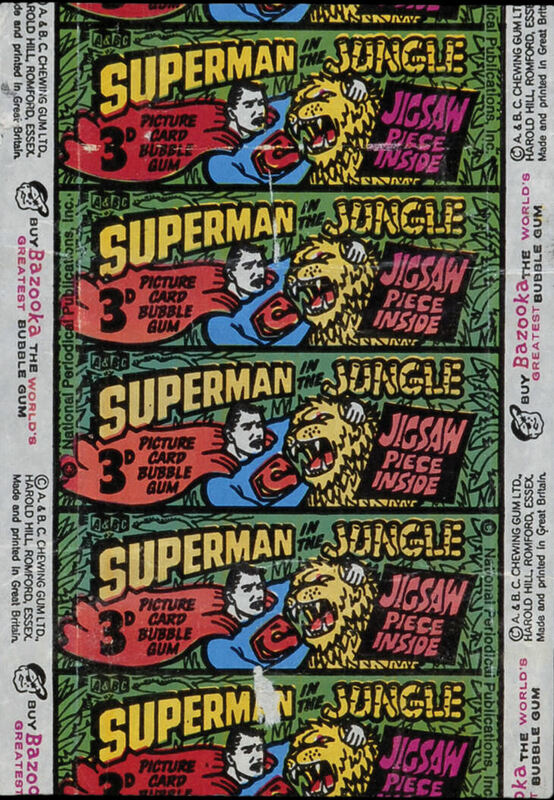 While I cannot find any listings for overprints, I have to think they exist. 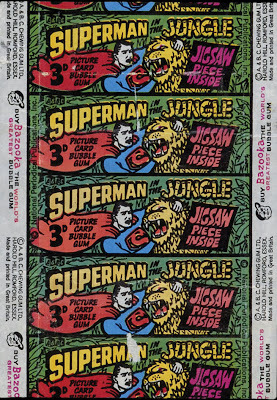 If anything, I would have expected a run that hinted at either 20 overprints and no short prints but if you throw over 20% of the set into one pack, I guess you have to throttle things a bit. Tinsley and White had swapped backs in the first run, in case you were wondering why I highlighted them. 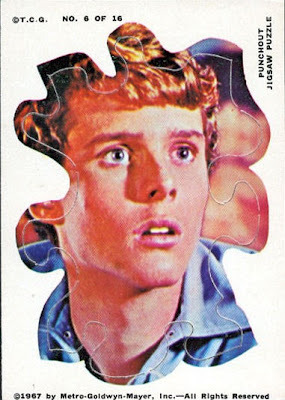 Did Topps mix up their short prints in a random, yet biased pattern? Is the conventional hobby wisdom on the SP's flawed? I am not sure what the answer is yet.